Published in 1929, German author Thomas Mann’s novella Mario and the Magician is not only Mann’s evocatively compelling and poignantly potent comment on the rise of fascism in Italy and Germany, but it is also a character template for successive egotistically sycophantic megalomaniacs enamored with their delusional self-importance and the besotted aggrandizement of their nationalistic jingoism. Collectively, these tyrants share one pathologically fixated obsession: They love to give speeches to imagined adoring and captive audiences. Bibi Netanyahu is a Case in point. Set in late 1920’s Torre de Venere (Tower of Venus), an Italian seaside resort, Mann chooses a northern European (German) bourgeois mouthpiece to create a fictional prose work in which the dramatic action, akin to a two-act play, unfolds in two major extended scenes. In the first scene of the novella the narrator/mouthpiece introduces the reader to his family’s holiday experience/s in the warm Mediterranean clime, an environment that is very alien to him and to his family. The reader is immediately alerted to the narrator’s chauvinistic, effete, and condescending attitude towards Italians, a breed the narrator considers culturally (and perhaps intellectually) inferior to his. These same sentiments vis a vis Italians, Greeks, Semites, Turks, North Africans, the Roma people, and Muslims, to name but a few, are to this day expressed by all too numerous hate groups, political parties, and government officials across northern Europe. The setting for the second part of the novella is a large audience-packed auditorium of mostly Italians, including the German narrator, his wife, and children. Mann utilizes the narrator’s ocular and mental perspectives to frame the events by focusing on Cavaliere Cipolla , a deformed, hunchbacked magician-hypnotist who is the master of ceremonies and the audience’s center of attention. What Cipolla lacked in appearance he compensated for with his oratorical skills that manipulated his audience into a spellbinding sorcerous silence and pervasive adoration. To compensate for his inferiority complex, Cipolla’s bombastic braggadocio and his ability to use his mental powers are laced with nationalistic themes woven in a superficially propagandist and masterfully crafted diabolical rhetoric. An impresario par excellence, Cippola entrances his audience with nationalistic themes that summon up the grandeur of Augustan Rome and its centuries of ancient Imperial rule, and thus evokes approving responses from his audience. … again the giovanotto’s brutal laugh rang out. His eyes were roving about somewhere in the air … he cocked his ear to the sound, then swung his whip backwards [so] that none of his puppets might flag in their zeal. The gesture had nearly cost him his new prey … Cipolla had him [Mario] in his clutch. If I were to put myself in her place and choose between the two of you, a tarry lout like that-a codfish [sic. ], a sea-urchin [sic. ]- and a Mario, a knight of the serviette, who moves among gentlefolk and hands around refreshments with [graceful words], but my heart would speak in no uncertain tones – it knows to who I gave it long ago. It is time that he should see and understand, my chosen one! It is time that you see me and recognize me, Mario, my beloved! Tell me, who am I? Shamed, humiliated, and demeaned at having his masculinity questioned, angry at himself for having succumbed to Cipolla’s mind games, mortified at the crowd’s favorable and admiring responses elicited at his expense, and horrified by Cipolla’s relishing the moment as though it were a sexual conquest, Mario pulls out his derringer and kills the heinous predator. There is no doubt that by 1929 Thomas Mann had Benito Mussolini and Joseph Stalin in mind, and might very well have anticipated Adolf Hitler’s 1933 and Francisco Franco’s 1939 rise to power and the Fascist dictatorships in Germany and Spain, respectively. Just as Cipolla incites his audience with a brazenly smug assurance and is able to manipulate his gullible spectators by bending them to his will, Bibi Netanyahu’s narcissistic aplomb has earned him three invitations to address the Joint Congress of the United States. The first such opportunity arose in 1996. After checkmating then President Bill Clinton, cutting him down to size and putting him in his place, on July 10, 1996, Bibi Netanyahu strode, much like a Roman pro consul, to the podium of the most powerful nation on the face of this planet, and delivered a speech in which he lectured America’s representatives about the strong bond between Israel and her subservient cash cow. 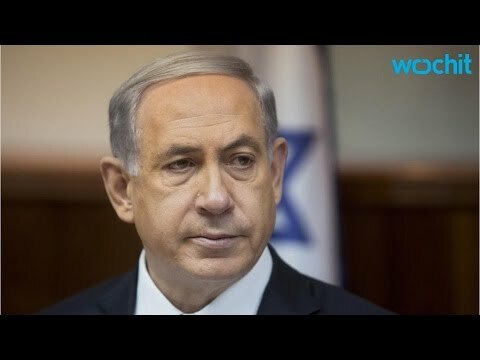 Received with unprecedented (if not exuberant) warmth, and hailed as a modern day saint by Speaker of the House, Newt Gingrich (better known as Mr. “The Palestinians are an invented people “ — while he was kissing up to Adelson’s bank account in his failed 2012 presidential run), Bibi lectured his audience on Iran, terrorism, democracy, shared values and the evils of hate. He was, after all, on the frontline, the savior whose fingers are keeping the dike of terrorism from bursting. And he insinuated to his paymasters that they owed him access to as much gold as Fort Knox should spare. And this was only the warm up. Years later: even though Obama has been Israel’s best friend, condoning the settlement expansion and giving lip service to these stick it in your eye U.S. taxpayer-funded illegal settlements, and even though Obama has been carrying Netanyahu’s water bucket during the 2008, 2012, 2014 wars on Gaza’s defenseless imprisoned 1.8 million population (more like shooting fish in a water tank); and even though Obama has affirmed Israel’s “right to defend itself” (no such right for the Palestinians); and even though he’s vetoed U.N. resolutions censoring Israel; and even though he voted against Palestinian statehood at the U.N. Security Council; and even though he’s condemned Palestinian attempts to hold Israel accountable for its heinous crimes in an international forum, Bibi Netanyahu has repeatedly humiliated Obama by sticking it to him in the eye, lecturing him like a truant school boy at the White House – in front of the whole world to see. Like the abused spouse, the Mighty Exceptionalist Droner in Chief has been groveling at his abuser’s feet. For being Bibi’s favorite waiter, Obama has nobody to blame but himself. O.K., Cipolla! Chip away, chip ahoy. Dressed in a fashionable tailor made suit, Bibi, to use his own word, presented a “telegenic” image. And much like Cipolla the magician, he hypnotized 535 subserviently mesmerized elected officials who gave him not a few, but 29 standing ovations to Obama’s 25 ovations during his January 2011 State of the Union Address — to that same body. Does that say anything about morality, payola, and the Congress of the U.S.? Primed with diagrams and an infantile graphic, on September 27, 2012, Bibi Netanyahu delivered a speech at the U.N. General Assembly in which he urged the world body not to negotiate with Iran. It was the same old povero me we have suffered for centuries motif ; we are an extension of Western civilization; we love democracy; Israel/West good, Iran/Arabs/Muslims/ bad; we are civilized, they are not; we want peace/Palestinians incite; same song, same verse to an international congregation that would not give him the same adulatory standing ovations of servility as the Congress of the U.S. had previously done. Towards the end of his speech Netanyahu held up a stringed balloon-like diagram and stated the following: “This is a bomb. This is a fuse.” As in a Shakespearean tragedy, comic relief is essential. Which brings us to the most recent Bibi Netanyahu escapade, that delusional love fest with himself, with speeches, with self-aggrandizement, with self-adoration, and with power — all with the same seductive power and sway Cipolla held over his audience, and all for the sake of hanging on to power in the March Israeli elections, yet one more time. Cipolla-style, “Kiss me!” Bibi told John Boehner. And the latter, trying to stick it to Obama on his homestretch – yet again for a sinister grandstanding finale – eagerly complied. While Boehner’s Machiavellian schemed invitation (a predatory act in itself) to Netanyahu is intended to flank the Democrats in the upcoming 2016 presidential elections and is the Republicans’ last best shot at humiliating Obama, yet again, it has, albeit timidly, exposed the fault lines in America’s special relationship with Israel. Like the spoilt brat who’s gotten used to getting his way far too long, Bibi is not likely to back down and disinvite himself. Like Mann’s Italian impresario, Bibi has Cipollatized successive Israeli hard liners and settlers by leading his own people to the abyss. More tragic has been Bibi’s ability to Cipollatize successive U.S. Administrations and Congresses, forcing them to a “[knighthood] of the serviette[hood],” all the time reducing them to a “wreathed and coquetted” garçon-style servitude of waiting on him , Mario style, waiting on his reckless expansionist zeal, and forcing them to kiss him as he pursues his dreams of a greater Israel. I fear that I know more than a few persons who are relishing B & B’s (Bibi and Boehner) predatory challenge to Obama, to his manhood, to his presidency, and to his legacy. The reality is that the invitation extended to Netanyahu is also a predatory challenge to the dignity of all Americans, regardless of their political affiliation. This is also an assault on the American and World Jewish communities, the vast majority of whom are increasingly embarrassed by Netanyahu and his intransigent pomposity. If there is a silver lining in this embarrassing debacle, it is to be found in the multitude of irate responses across the U.S. When the news of the invitation became public, FOX NEWS’ Chris Wallace (of Jewish background), stated: “I have to say, I’m shocked;” Shepard Smith stated that it was “a deliberate and pretty egregious snub;” NBC’s Chris Jansing called it “an unprecedented breach; ” CNN’s Dana Bash referred to it as “unusual and bizarre;” JStreet called it “a mistake;” White House official Josh Earnest called it “a breach of protocol;” Nancy Pelosi opined that it was “out of order;” Jewish Voices for Peace’s Rebecca Vilkomerson charged that U.S. lawmakers are out of touch; RootsAction pronounced “Talk about chutzpah!” Even loud mouth brazenly brash Chris Mathews, one of Israel’s most ardent supporters and apologists for the Clintons and Obama, expressed his disgust. And many in the American Jewish community, including JStreet, Jewish Voices for Peace, and numerous rabbis have been deeply irked and embarrassed by this charade, calling on their supporters to express their anger, and rightfully so. Even the Israeli Ha’aretz, quoting a US official, orated the following: “we thought we’ve seen everything. But Bibi managed to surprise even us. There are things you simply don’t do He spat in our face publicly and that’s not a way to behave.” Perhaps the most vociferous voice to date appeared on Representative Earl Blumenauer’s (D., Oregon) Facebook. “I will not participate in a calculated attack by speaker of the House of Representatives to undermine the President and his ability to manage foreign policy,” stated he. Postscript: President Barak Obama has the opportunity to capitalize on the fallout from this “coquetted” sham. He can, in the words of the narrator, put an “end to [the] horror” and declare “a liberation.” He has to, for starters, take off the garçon’s apron in which he and Congress are tightly draped by AIPAC and the Saudis, take ownership of the store, and sign a wise deal with Iran. Second, by bringing an equitable resolution to the Israel/Palestine proverbial thorn in the world’s side, he will be able to deflate much of the anger and frustration that have been the oxygen fueling the senseless and barbaric Islamic madness that has thrived in the region because of ill advised wars from which blowback is an inevitability. For the sake of the children of Israel/Palestine the status quo must be broken. This will also liberate America from AIPAC’s stranglehold. Third, hold the Arab theocrats, dictators, and the tyrannical oil sheiks and other Arab Cipallos accountable for their crimes and press them to honor their people’s aspirations in joining the modern — free world – free of neo liberal exploitation.